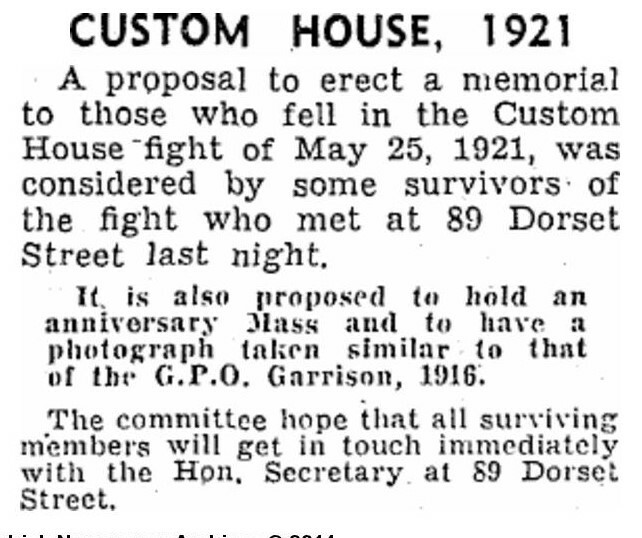 While the idea of a permanent memorial on the site of the Custom House must surely have been discussed earlier, the first reference we have been able to find is the following extract from the Irish Press in 1943. It would take another 13 years before their plans were eventually realised with the unveiling of the memorial. Initially, progress seems to have been slow – understandably so during the ‘Emergency’ years – and only a small number of fund raising activities appear to have been held. Planning and fund raising activity increased significantly from 1947, with the following article appearing in May 1948. Patrick Mc Donnell, George Dowdall, James Hannon, J.N. Troy, Roger Mc Corley and J Murrin. Regular appeals were made for general donations & subsequently the Committee made a presentation of a painting of Padraig Pearse to a Mr Ben McGuire from Baldoyle in recognition of his making the largest donation to the Memorial Fund. There seems to have been considerable discussion in the early years about the form the memorial should take & which names should be included. 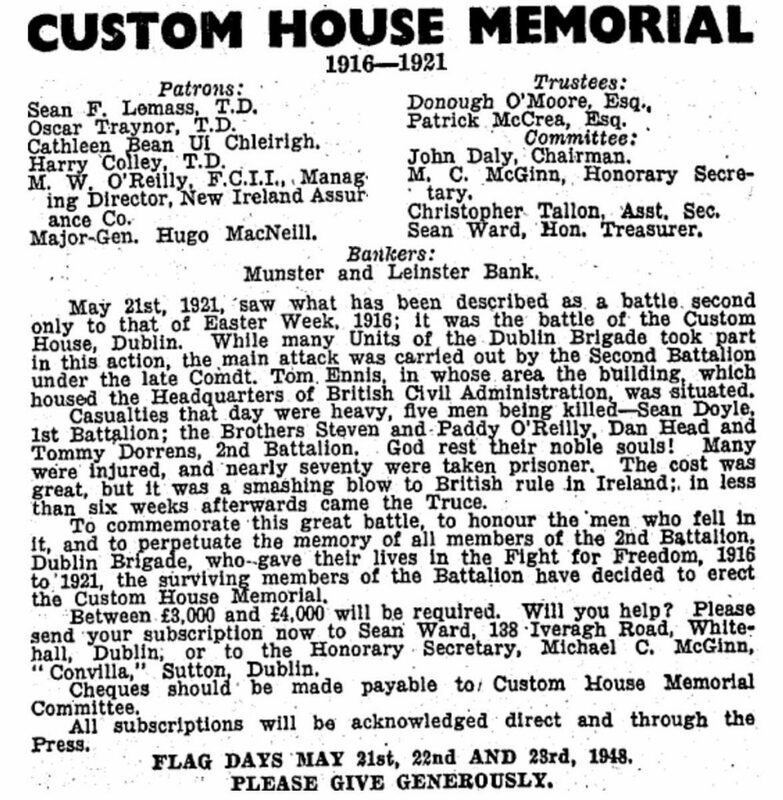 Proposals ranged from including the names of the five volunteers killed on the day to a suggestion that the names of all members of the 2nd Battalion killed between 1916 and 1921 should be included. This debate carried on for some time & just months before the statue was to be un-veiled, there seems to have still been uncertainty on this matter. Very interesting. Paid for by the ordinary people.